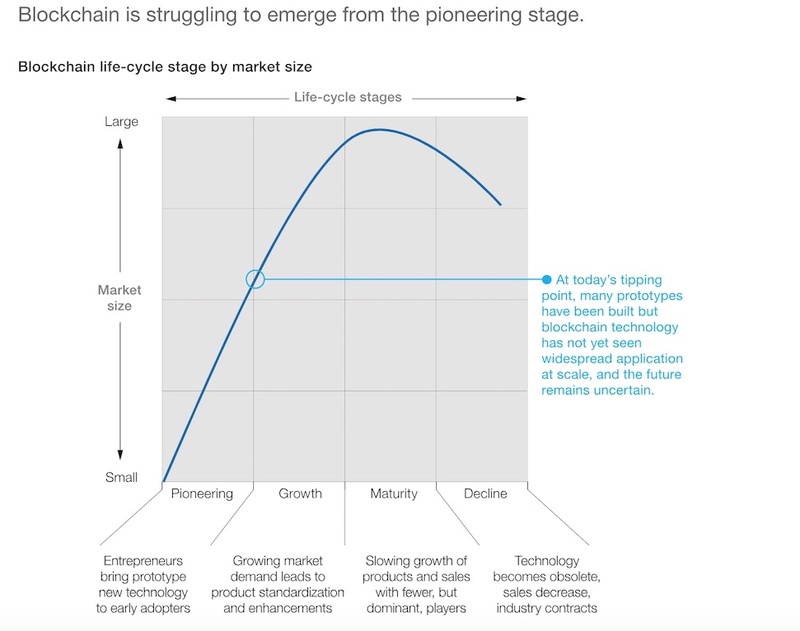 Blockchain companies are upset with management consultant McKinsey for pointing out the technology is stubbornly stuck at base camp after years of hype. At the start of the year, McKinsey performed a reverse ferret on the much-hyped technology. Two years ago the expensive management consultant was promoting reckless abandonment. But the latest report from the firm now makes for much more sober reading. Companies should only conduct a blockchain experiment if the need - a real world problem - is really there, and can’t be solved by more proven conventional technology, such as a database. There should be a clear ROI too. In most cases it’s a solution looking for a problem, the consultant advised. “A particular concern, given the amount of money and time spent, is that little of substance has been achieved. Of the many use cases, a large number are still at the idea stage, while others are in development but with no output,” authors Matt Higginson, Marie-Claude Nadeau, and Kausik Rajgopal found. As evidence they have seen many projects stalling at phase 1, or being wound up, and startups with angel or Series A funding failing to get Series C funding. This is particularly evident in financial services, the sector which it explored it first. It added that blockchain solutions required a dedicated network. The authors pointed to a few positives from the hype: the development of new protocols for collaboration between firms, for example. Not surprisingly startups invested in the blockchain hype are sticking to their chains. In a roundup of blockchain firms only good times lie ahead. HSBC claims to have paid out <Dr Evil voice> a staggering $250bn via the blockchain last year. Why isn't digital fixing the productivity puzzle?